Earthworms live where there are moist soil and plant matter for them to eat. 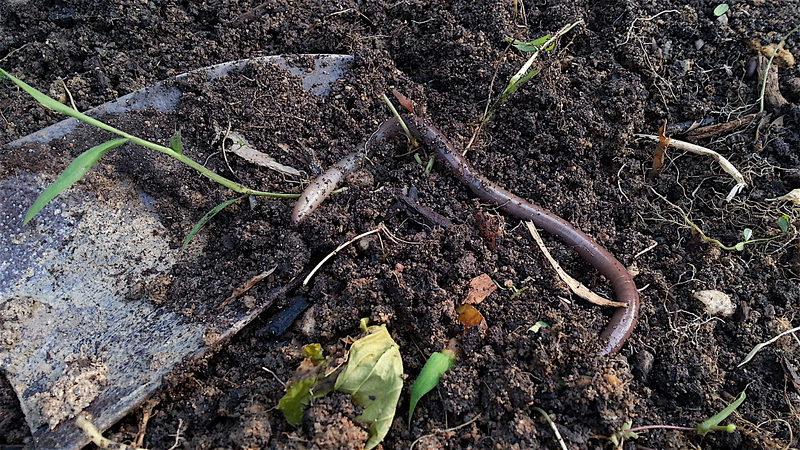 The more earthworms there are, the more fertile the soil and the better your wildlife garden will grow. Once you provide the right conditions, earthworms will find their way to your yard, as if by magic. Actually, they move in from neighboring areas or hitch a ride in plants you bring home from the garden center.If the environment you provide is suitable, they survive and multiply. There are many benefits to having earthworms: They clean up debris and recycle it as fertilizer. Their tunnels aerate the soil, and erosion is almost eliminated. Their labors benefit the food we eat, the flowers we love, the trees that shade us and the wildlife who live in our yards. And, the worms themselves are food for many animals. Around the world, agricultural areas are going “no-till.” In these instances, earthworms are valued as the main force for churning crop residue into the soil and keeping it fertile. 1. Give them organic matter. They feed on decaying plant roots and leaves, tiny worms, microscopic single-cell animals, bacteria and fungi. If placed in dead soil, they won’t survive. 3. They like a light, oxygenated soil, so don’t use rock or weed barriers. Amend clay soil with decaying organic matter, such as leaves, peat moss or compost. This provides food, as well as air spaces, so they can breathe. Your plants will benefit, too. 3. Once you’ve amended your soil, don’t till. It kills them. 4. Keep your yard watered, earthworms need moisture. 5. You can purchase earthworms and add them to your soil, but if the conditions aren’t right, they’ll die and you’ll have wasted your money. Do some research to insure you purchase the right kind of earthworms — they aren’t all alike. 6. Check labels on fertilizers and other yard products to ensure they’re safe for earthworms. That generally means using only natural products.